Goodreads appetizer: Cathleen Chase is no killer—but as Cat O’Banyon, she is a ruthless bounty hunter who always gets her man. Catching one lowlife after another, she continues her search for the only man she really cares to locate. The one whose voice she will never forget; the man who murdered her husband. She’ll stop at nothing to find him. My Thoughts: Wow, wow, wow. Sorry I don't know where to begin. I'll start in the middle and tell you that I LOVED this book to pieces. First it was the cover that caught my eye on another blog then when I read the premise I was intrigued (a lady bounty hunter? That sure sounded original and interesting), and even though I've seen a couple of praising reviews nothing prepared me for what an amazing read this novel would be. It was terrific! First of all the whole story was a huge breath of fresh air: it was a historical romance set not in the usual Regency ballroom or Medieval Scottish Highlands, but in the Wild Wild West of America! The heroine wasn't a fainting debutante but a gun-wielding badass/kickass bounty hunter! But let be rewind and start at the beginning. The plot was original and exciting: a grieving wife who wants to avenge the murder of her husband takes any means necessary to be a successful bounty hunter and hunt down the man who ruined her life. She learned the tricks of the trade of blending in, becoming someone else, giving false impressions from the best: Alexi Romanov a mysterious handsome foreigner who has as many personaes as other people have matches. Both Cat and Alexi were extraordinary characters: Cat was tough and independent, head-strong and yet she retained a vulnerability that not only touched Alexi but made me want to comfort her as well. Both of them hadn't had it easy, and that's saying it lightly, both have been hurt and scarred, and they were both so beautifully flawed characters. Alexi was so beautiful and irresistible he made my heart ache. I could sympathize with Cat wanting to keep her distance fearing for her heart but it was obvious her struggles were futile; Alexi packed such a potent charisma that even across time and space of the pages he wove his spell on me as well. Smooth, sun-kissed skin, wavy black hair, deep blue eyes and hands that could make a violin sing or a woman moan. He could also lie to an angel and cheat the pants off the Devil himself. He had taught Cat everything she knew. There was always something in Alexi's voice that made folks wonder: Would he kiss you or kill you? He cursed. French? Spanish? Italian? She wasn't certain, but whatever language, the words, the tone, the cadence were both beautiful and brutal. Kind of like Alexi himself. The relationship between Cat and Alexi was a layered and complicated one. I wouldn't even attempt to sum it up to you, let me just say that the development of their relaionship, the different stages and emotions they went through was a wonderful and poignant journey, even for the reader. "Moya krasavitsa," he murmured into her hair. "I will always find you. You shine like a beacon in the darkness of my world." Cat blew a derisive puff of air from her lips. Even Alexi laughed. "Where do you come up with this stuff?" Both were so different from the usual stereotype of historical romance heroes and heroines that they stand in a category of their own. I loved how smooth and charming Alexi was and Cat's sarcasm and cynism often made me chuckle. They sure were well fleshed out characters that just seemed real. 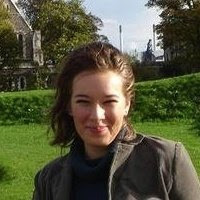 Besides the spntaneous language courses I very much enjoyed the historical tidbits, information Lori Austin included in the story, liked learning about the origin of names of towns through anecdotes and discovering some aspects of the Civil War and how life could have been in the Wild West. Verdict: Beauty and the Bounty Hunter has it all: lots of adveture, heartache, passion and fun. Lorraine Heath sums it up perfectly in her endorsement: Beauty and the Bounty Hunter is a "riveting, poignant and unforgettable story". Both Cat and Alexi will stay with the reader long after the end of the novel and their story will be one the reader will cherish and remember fondly. 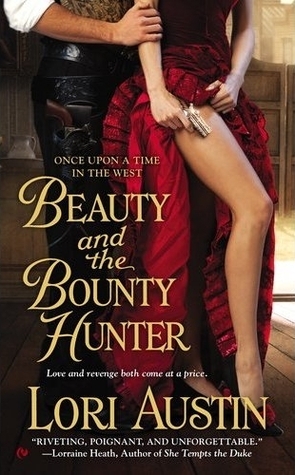 With Beauty and the Bounty Hunter I instantly became a die hard fan of Lori Austin and her new Once Upon a Time in the West - Western historical romance series, and I'm impatiently counting back the days 'till the next release. Trust me, don't wait until Christmas to put this book on your wishlist, get it now, you'll love it! Cover: 10- absolute cover perfection! It conveys the passion, the sexiness and the adventure true to the time period, love it!